Having a great envelope is one thing, but saving money at the same time? It's like a miracle! Well, JAM proves that miracles can happen with these A8 Closeout Envelopes. High quality, low price, variety of colors, and the perfect size. With all of these qualities, what can possibly go wrong? 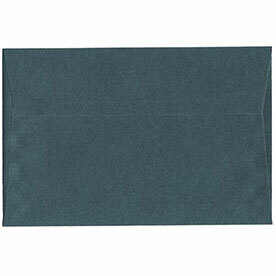 A8 Envelopes are a popular size for wedding and other event invitations. These envelopes became closeouts for a number of different reasons, from item number changes to color discontinuations. We carry our closeouts in bulks of 1000 or 25 so that you'll be able to get a lot of envelopes for a low, low price. 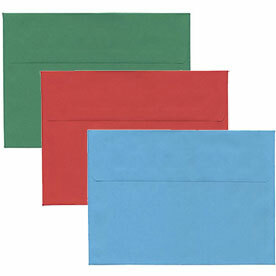 Our standard A8 Closeout Envelopes will decorate any greeting card, invitation, or advertisement up nicely. From a very Heavy Duty white to a Deckle Edge Natural White envelope, from vibrant Astrobright Red to sweet Wausau Lilac, our colors are numerous. 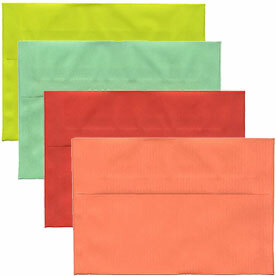 As you look further, you'll find that we carry A8 Translucent Closeout Envelopes discount ed. You'll find scrumptious envelopes like Candy Apple green and Nectarine and natural looking envelopes like River and Sierra. Or go super shiny and make the perfect statement with our A8 Stardream and Curious Closeout Envelopes! So save big while keeping your envelope style intact with closeouts.